October is Breast Cancer Awareness Month. In support of this we will be offering temporary pink extensions! For $15 you will receive one hair extension; each additional extension is $10. The extensions are made from real hair so you can wash and heat-style like you normally would! All proceeds will go to Jessica Tellez, our great friend and UB stylist of 12 years, who is fighting breast cancer. 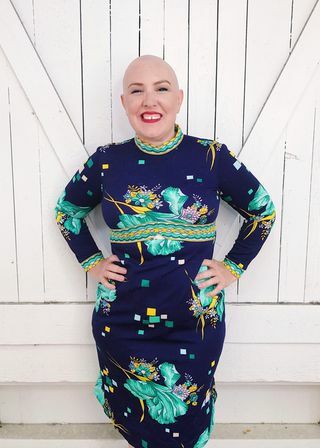 She is currently undergoing chemo and will eventually have a mastectomy and both her ovaries removed. We can't think of anyone else more deserving of this donation! If pink extensions aren't your thing, please feel to donate directly to the GoFundMe that was set up in her name.